Imagine you’re five years old. You’re playing your favourite mobile game – let’s call it Super Duper Zookeeper – when a message pops up inviting you to buy a bundle of ‘gems’ or ‘fruit’ (at a cost of up to £70 per transaction), and spend them ‘Now!! !’ to ‘Unlock The Baby Panda!! !’ You don’t really understand that the gems or fruit cost real money, so you buy several bundles … then several bundles more … and before you know it you’ve got a zoo full of baby pandas on your hands, and a very angry parent. These kinds of aggressive monetisation techniques, along with cases of inappropriate in-game advertising and data collection without parental consent, have generated reams of bad press for so-called “free-to-play” or “freemium” games aimed at children. In 2013 they caught the attention of the UK’s Office of Fair Trading (now the Competition and Markets Authority), which launched an investigation into the way in-app purchases were marketed to children. It expressed concerns that some companies were attempting to exploit “children’s inexperience, vulnerability and credulity, including by aggressive commercial practices” such as “direct exhortations to children to buy advertised products” or persuading their parents to do so for them. It subsequently published a set of principles designed to remind developers of their responsibilities under consumer protection law. The Children’s Rights and Business Principles, developed by UNICEF, the UN Global Compact and Save the Children, are also applicable to video games. Principle Five, for example, requires companies to ensure that their “products and services are safe, and seek to support children’s rights through them”. Additionally, Principle Six calls for marketing and advertising that respects and supports children’s rights. The recently updated Guidelines for Industry on Child Online Protection provide further guidance on protecting children’s rights online for companies that develop, provide or make use of information and communication technologies (ICT). 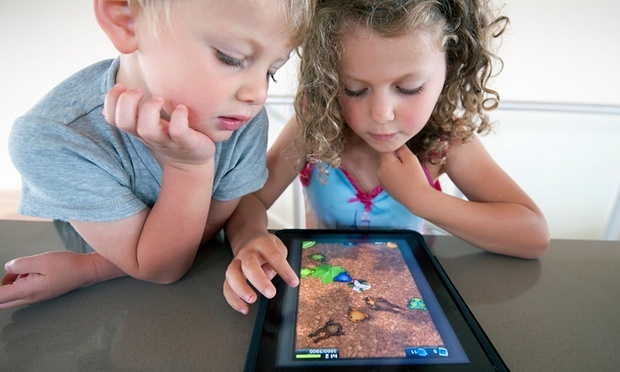 However, the fact that the CMA recently referred three online children’s games to the Advertising Standards Authority due to concerns that they may be pressuring children into buying extra features suggests that some developers of children’s apps are unaware of the principles and guidelines that apply to their products – or are choosing to ignore them. Even when developers do follow available guidance, the default settings on mobile devices can still catch people out. Parents and children aren’t always aware that every app or in-app purchase opens a 15 minute window when further purchases can be made. Last year, Apple announced it would refund $32.5m to parents who’d been billed for unauthorised in-app purchases made by their children in order to settle a dispute with the Federal Trade Commission (FTC), which is also suing Amazon in a similar case. Apple, Amazon and Google – which take a 30% cut of mobile app revenues made through their distribution channels – have now changed the way freemium games are presented on their platforms. The aim is to make people aware up-front that certain games contain in-app purchases and are not as “free” as their developers might want you to believe. Apple’s new Family Sharing feature also gives parents the option to require their children to “ask to buy” before they make purchases. An iOS pop-up alertalso warns users about the 15-minute password re-entry window when they make an in-app purchase. Jo Twist, CEO of the Association for UK Interactive Entertainment (Ukie) says that in-app purchasing is optional and allows people to try before they buy, while acknowledging a shared responsibility to protect children. Toca Boca, a game development studio focused on child-friendly apps, aims to encourage child creativity. There are no scores or timers: the emphasis is on play for play’s sake. All of Toca Boca’s apps are designed to be gender neutral, and there is no text or language involved so they can be enjoyed by children of any age or ability worldwide, thereby helping to fulfil their right to leisure, play and culture (Article 31 of the UN Convention on the Rights of the Child). None of Toca Boca’s apps feature in-app purchases or advertising. Although many independent developers of kid’s games agree with this stance, it can be hard to make a sustainable income solely from paid games. Child-friendly in-game advertising is another slightly more controversial means of generating revenue. In the past, inappropriate third-party ads – such as those inviting users to call premium rate phone numbers – have been spotted in children’s mobile games. Some claim to have solved these issues. SuperAwesome, a kids ad platform used by hundreds of brands, released a new software development kit for Android and iOS developers that can add child-safe ads to children’s apps with a single line of code. Data capture is another problem. Vicki Shotbolt, CEO of The Parent Zone, says that the amount of children’s data being captured through some apps without parental consent is “massively troubling”. She suggests that the UK should introduce an equivalent to the Children’s Online Privacy Protection Act (COPPA) in the United States. Moms With Apps’ Know What’s Inside programme is also helping developers take a proactive stance toward data. Every developer who’s a member agrees to be transparent – their apps can then carry the Know What’s Inside logo to signal that they’re child-friendly. Games for Change, an organisation which supports games designed to advance social change, shows how games can be used to inform children about their rights: Family Values, for example, teaches girls about gender issues, education and empowerment. As Twist says, games like these can help children understand “not only the world around them, but their impact and place within systems and the potential power they have to change that.” A much better power-up than an overpriced virtual panda.